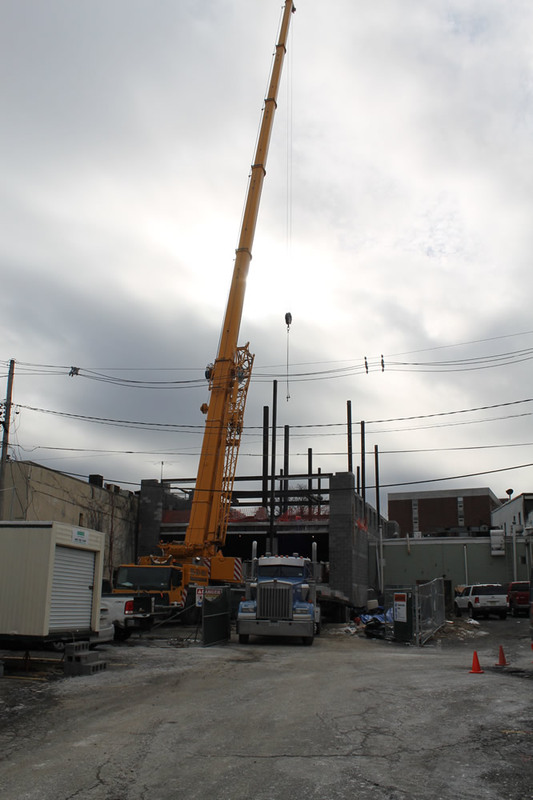 As the temperature outside drops, our new home rises. 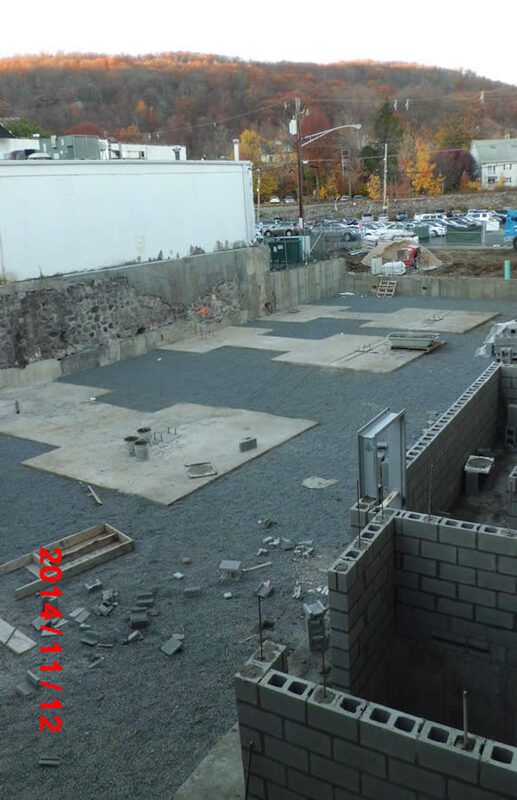 Brooker Engineering, PLLC is excited to announce the construction of our new offices at 74 Lafayette Avenue in Suffern, NY. 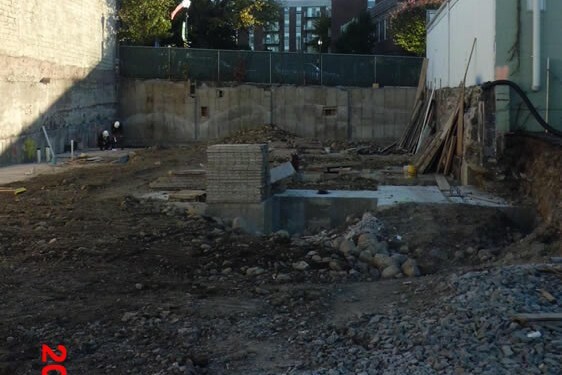 For many years the lot adjacent to our current offices sat vacant, overrun with weeds and the remnants of a building that used to stand between 72 and 76 Lafayette Avenue. This past year has been full of changes for our company, and the beginning of construction on our new office space has proven to be the most exhilarating of them all. We have officially outgrown the place that we call home – and it is time to plant our roots in a more fitting abode. Lafayette Centre is a four story structure, with a lower level, comprised of approximately 26,000 square feet. The first floor will consist of commercial space while the lower level and second through fourth floors will consist of upscale office space. 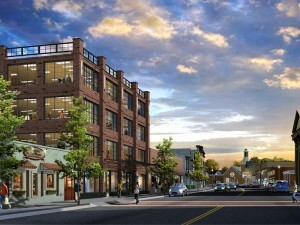 The building will be comprised of a brick facade, as well as large windows overlooking Lafayette Avenue. It was designed to portray the essence of the “postmodern” era, with metal awnings over the primary entrances. The building has also been designed to be energy efficient by integrating various renewable energy technologies into its construction. This will help to reduce energy bills, enhance comfort, and provide a healthier indoor environment while reducing the carbon footprint. These design features will include geo-thermal heating, high efficiency lighting, highly insulated exterior walls, and roof and high-performance windows. 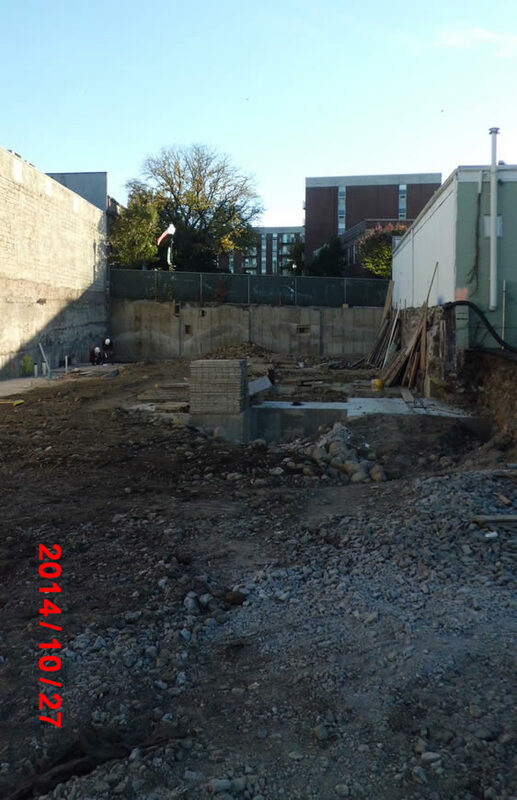 Our estimated move into Lafayette Centre will be December 2015, less than 11 short months away. Brooker Engineering will be the primary tenant in Lafayette Centre, occupying most of the third and fourth floors. 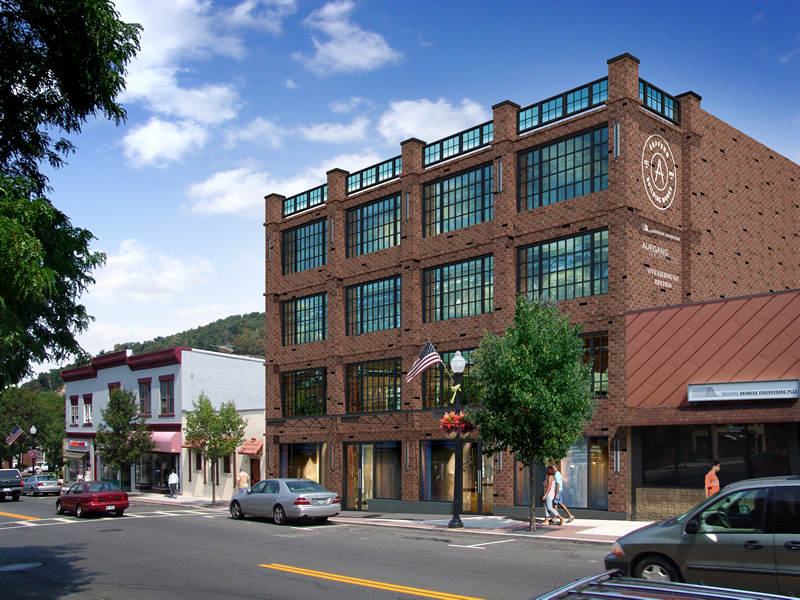 It will provide a new, upscale, modern alternative for commercial space and be a welcome addition to the downtown region of Suffern, New York. We can’t wait for move in day!